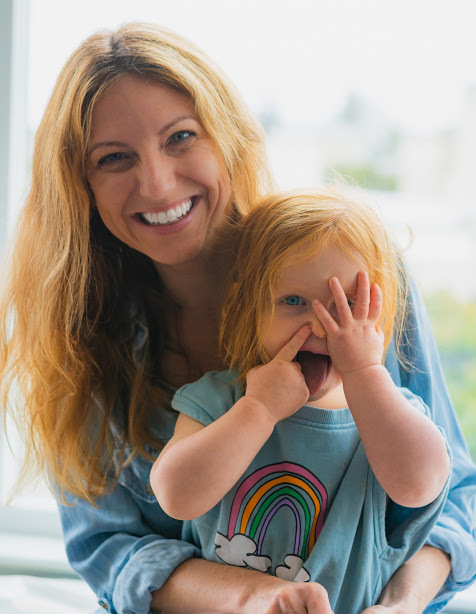 Kate Berland, Class of 1999, with her two year old daughter. Who knew that something as simple as joining the yearbook could lead you to end up in a high-level marketing position at Google? Thanks to Nick Otten, Marci Pieper and other Clayton teachers, Kate Berland, class of 1999, was able to figure that out. 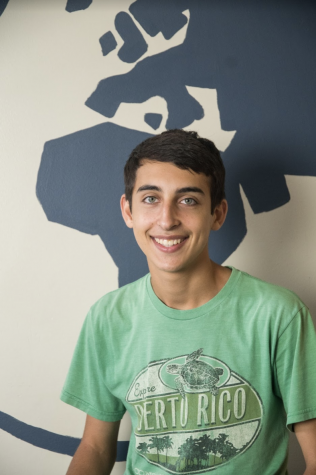 A hardworking and academically curious student, Berland developed a passion for storytelling and narrative through the excellence of CHS’s English department―but needed to find a way to explore it more. For Berland, one of these risks was joining the school yearbook group, where she was able to keep practicing her love of storytelling by shaping the narrative told about the school. Working alongside adviser Marci Pieper, who continues to advise the CHS yearbook team today, Berland worked up the ranks to become editor-in-chief and brought home a national journalism award in her senior year. She also spent her time at CHS working on one of the earliest editions of The Works, Clayton’s literary magazine, under Otten’s supervision. After graduating from Clayton, Berland earned her bachelor’s degree from Stanford. She spent a short time after college working part-time jobs telling the stories of San Francisco at a newspaper and history museum, but it was ultimately an experience from college that shaped the next part of her life. Based in the Czech Republic, the Open Society’s Project Syndicate was created as “The World’s Opinion Page.” In her time there, Berland helped organize the publication of hundreds of current-issue commentaries written by world leaders by communicating with many major global newspapers. By working with so many newspapers across the world, Berland spent her three years abroad traveling all around. Towards the end of her three years, though, Berland began looking for further professional growth. While traveling to Moscow, she discovered an opportunity to work at Google after reuniting with an acquaintance from college. “It was a little bit of a moment in time in the end of 2006 when Google was really growing and becoming much more of a phenomenon, and I was just really interested in being part of an organization like that. With my interest in media and information, Google felt like the next frontier of what that would be,” Berland said. 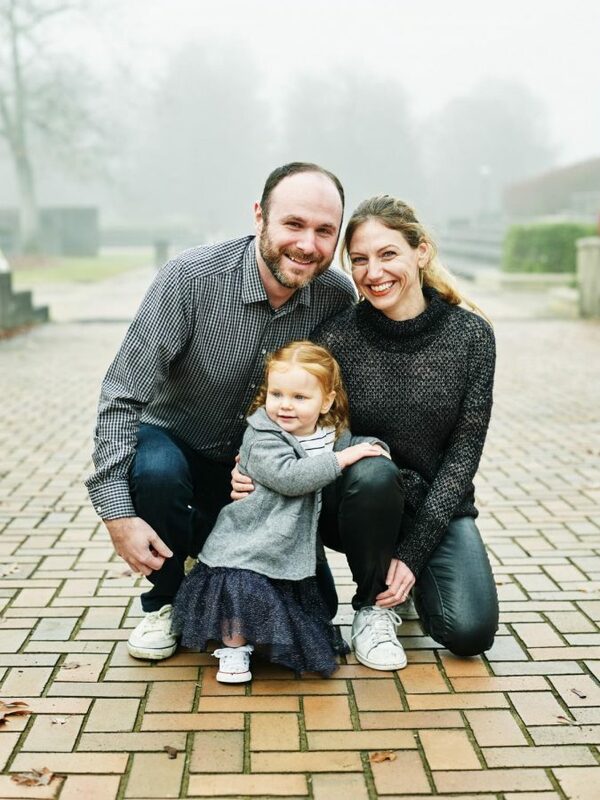 Kate Berland, Class of 1999, sits for a family photo with her two-year-old daughter and husband. Berland works in marketing at Google, but says that what's more important to the job is coming home to something that's truly important to her--her family. Continuing her passion for storytelling, Berland began her Google career in a communications position, but soon found she wanted more. Since getting her master’s from Northwestern, Berland has worked in a lead position in YouTube’s marketing branch and is currently the Head of Core Product Marketing. According to Berland, she doesn’t plan on leaving anytime soon. “Google and YouTube are such dynamic companies that there’s so much growth potential for me staying where I am,” she said. It probably helps that her office has all the traits of an iconic Google workspace, like an indoor slide for moving down to the first floor. With all her career achievements, though, Berland likes to remember the world beyond work. “You have to work hard but you also have to take things in stride, keep your perspective and protect the things that you love that are outside of work,” she said. For her, the thing she loves is her new family.